FetalUltrasound2smaller - Supplemental to Wells et al. 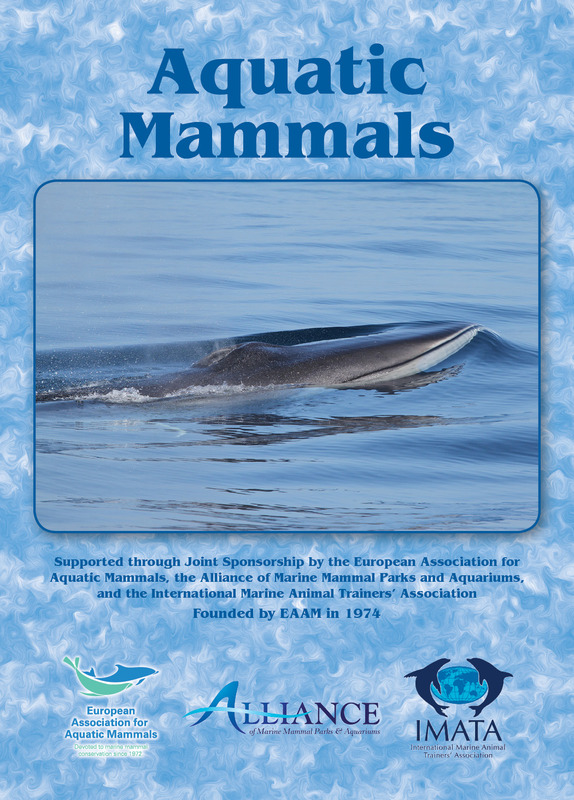 2014 from Aquatic Mammals on Vimeo. This video of a transverse plane sonogram of both dolphin dam (F155, Table 1) and fetus confirms fetal viability through detection of fetal movement and a heart beat. The dam’s dorsum is to the left of the image and ventrum is to the right. The fetus is seen in the middle of the field, with the left side of the fetus in the far field and the right side of the fetus in the near field at the beginning of the clip. The fetus can be seen rotating within the dam throughout the clip. The fetal heart beat is seen in frames 1-93, with the heart being surrounded by the non-aerated left and right lung lobes. Citation: Wells, R.S., Smith, C.R., Sweeney, J.C., Townsend, F.I., Fauquier, D.A., Stone, R., Langan, J., Schwacke, L.H., Rowles, T.K. 2014. Fetal Survival of Common Bottlenose Dolphins, Tursiops truncatus, in Sarasota Bay, Florida. Aquatic Mammals. 40(3): in press.